With fluid metal as catalyst, Australian scientists from the RMIT university succeeded in turning CO2 back in coal again at room-temperature. For the second time in history, locally occurring deposits of coal may come to make a significant contribution to the fuel market in the Netherlands within the next fifty years (up until 2034). In the early seventies coal mining came to a stop due to steeply rising wages and the discovery of a huge natural gas reservoir then equivalent to approximately 30 times the annual Dutch energy consumption in 1982, It is expected that the energy derived from native coals will become competitive early next century, because of the high costs of landed North Sea Gas, since all onshore gas fields will then be exhausted. The Dutch coal resources both onshore and offshore are part of the Northwest European coal basin extending from Mid-Germany to England. The coal bearing carboniferous sediments contain a large amount of hard coal in thin sloping layers. Along the Northwestern coast the top of the carboniferous strata occurs at a depth of 3000 meters. Going inland the carboniferous layers rise until they reach the surface in the Southeastern part of Holland near the border with Germany (where as a consequence coal was mined in the past). In order to permit an evacuation of future coal use, geophysical surveys are in progress for coal deposits up to a depth of 1500 meters. At the same time long term research and desk studies are being encouraged by the Government within the framework of a National Coal Research Program. The subject of this report: The applicability of in-situ gasification in Dutch coalfields, is one of these studies. In chapter 1 the preference for studying in depth underground gasification as a technique for exploiting deep lying thin coal seams in the Netherlands is elucidated. In chapter 2 horizontal drilling (art extension of deviated drilling) is adopted as a means of disclosing coal seems at acceptable economic and social costs. A survey of the experience gained of in-situ gasification in several countries explains why new gasification models and techniques have to be developed and demonstrated for typical Dutch- and West European conditions. Apart from some modest European efforts the Morgantown Energy Technology Center (USA) is the only institute which attempts to establish a relevant development program. In chapter 3 a gasification model is set up to provide a basis for a development plan and an economic evaluation of ín-situ gasification. Chapter 4 deals with site selection for 50 MW demonstration plants t producing either clean gas or electricity, and with the associated safety and environmental aspects. The surface arrangements and underground lay-outs are based on detailed design and engineering efforts. Where necessary for a better understanding of techniques (and prices) commercial tenders have been collected. Prices for products from demonstration plants and from commercial scale plants are estimated in chapter 5 for a wide range of parameters. Supposing a successful development and therefore a proven technology, the final demonstration plant may produce electricity at a price of approximately 0.23 guilders per kW-hour (75 mills*)/kWh). Further maturation including additional progress in horizontal drilling may lower the production costs in a commercial plant (sealed up from 50 to 330 MWt) till 0.06 guilders/kWh. This would mean that even the costs of possible future denoxing and complete desulphurization of the flue gases would not jeopardize the economic viability of in-situ gasification. 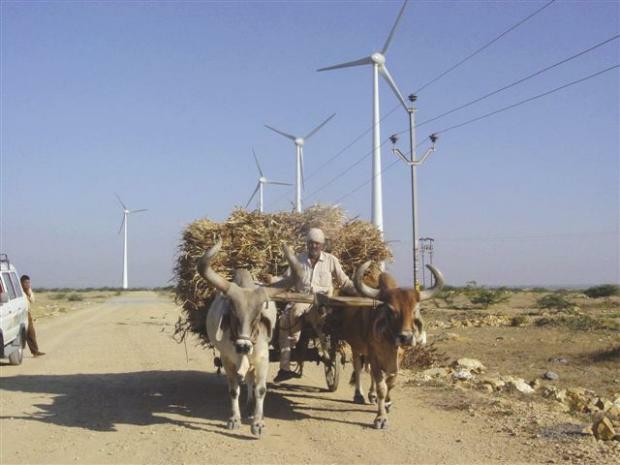 The utilization of domestic coal deposits reduces the dependency on imported energy. Therefore it seems worthwhile to execute the R&D program specified in chapter 6. The main uncertainties attached to the gasification model may be resolved within five years at an expenditure of 6-8 million guilders. In chapter 7 it is concluded that in-situ gasification of highly carbonized coal, occurring in deep lying thin seams, is hampered by only a small number of obstacles. Its viability can be assessed at relatively low cost. 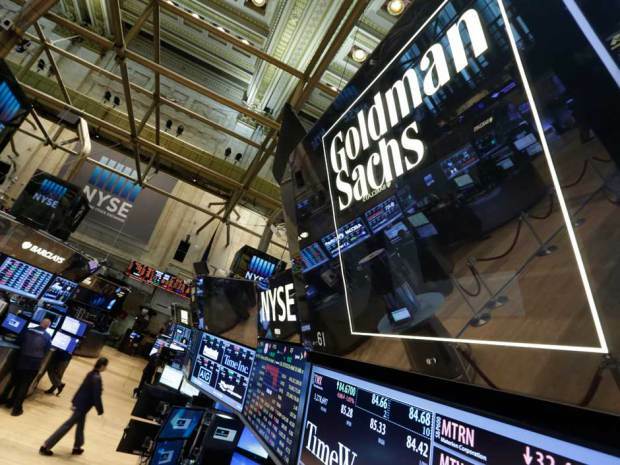 Governmental involvement with such investigations may be diminished by agreements with interested foreign parties to cooperate, and in the demonstration phase of the development also by industrial participation. *) 1 US dollar ~ 3 Dutch guilders. A group of climate activists named “Code Rood” (“Code Red”) has infiltrated the grounds of the OBA company in Amsterdam to protest the unrestricted use of coal. Amsterdam is the world’s largest petrol and Europe’s second coal harbor. “Code Rood” justified its actions by pointing at a judicial decision of two years ago stating the government is responsible of protecting its citizens against climate change (“Urgenda case”). According to “Code Rood” nothing has happened since. The Urgenda Foundation pushes for The Netherlands fossil free as early as 2030, not the EU goal of 2050. But following an independent review, which concluded the emissions from the process would be significantly higher than other sources of gas, the UK Government on Thursday ended any remaining hopes, saying it was “minded to not support the development of this technology in the UK”. Editor: apparently the UK government is confident that their energy needs can be covered from other sources and shy away from potential negative environmental effects. But the coal will remain where it is and other UK governments could change their minds. When we started this blog in 2012, we were convinced that the very near future would be as predicted by ASPO-2000, Colin Campbell and Richard Heinberg, namely that the world was already at or even passed peak oil and a rapid decrease in available oil would shake the foundations of industrial society. When US president elect Trump claims that there is for centuries worth of coal reserves, he is probably not exaggerating. The North Sea between Britain and Holland is probably one of the, if not the most explored areas in the world. While hunting for oil, explorers studying the core samples resulting from drilling activities, they noticed the presence of vast quantities of coal. Think trillions of tons of coal, a multiple of what humanity has burned so far in its entire history. Obviously it is not possible to mine these reserves in the conventional way, but meanwhile technology has advanced to the tune that it is no longer necessary to operate in this way. 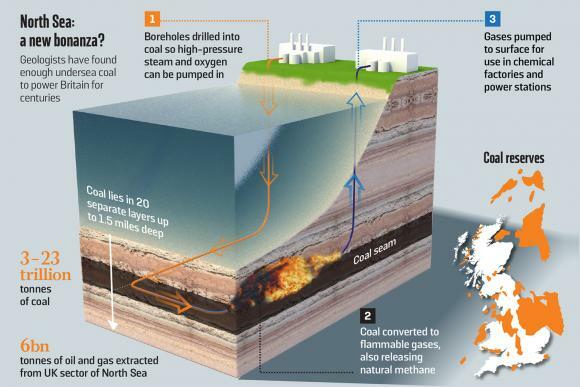 In short: it is possible to drill holes and burn the coal at the location where it resides, by injecting oxygen and water and retrieving CH4, H2, CO and CO2. The conclusion is that there is more than enough fossil fuel around to build the renewable energy base. There is some Soviet experience with UCG, beginning in the thirties. Yerostigaz, located in Angren, Uzbekistan, is the only commercial UCG operation in the world. Operational since 1961, Yerostigaz produces UCG synthesis gas to be used for power generation… 1 million m3/day and will continue to do so for the next 50 years. The advantages of this technique are related to its high efficiency, because it makes possible to triple or quadrupling the exploitable coal reserves and so offsetting the decline in reserves of other mineral fuels such as oil and gas. This is particularly suitable for low quality coals, such as lignite and bituminous coal, which produce less heat in combustion due to its high ash content and are they more polluting in conventional plants. This paper will look specifically at coal gasification as this has the largest impact on Canada and Alberta, specifically in developing a higher value and more environmentally acceptable usage of coal when compared to straight combustion. Modern coal gasification also introduces a cost-effective substitute to natural gas in the form of syngas and hydrogen that can replace natural gas usage for larger natural gas users (such as the oil sands) allowing the natural gas to be freed up for other commercial markets. Finally, the hydro-gasification process produces a relatively pure and easily captured CO2 stream that normal coal combustion does not allow (or is highly uneconomical). In Alberta this carbon dioxide stream is an additional product line for the coal gasifier, who can sell the product to the oil industry for enhanced oil recovery. 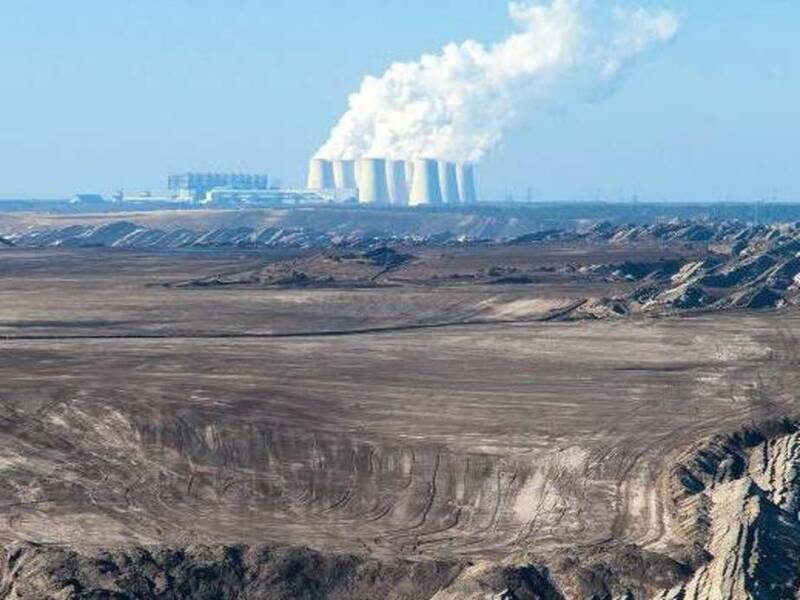 Energy consultant Energy Brainpool has conducted a study, paid by Greenpeace, showing that it is possible to immediately switch off no less than 36 lignite fueled power stations (15 GW) with hardly any consequences at all, other than saving 70 million ton CO2/year. Cleaner electricity could be bought elsewhere in Europe and electricity prices would merely increase with 0.6 cent/kWh (24 euro/household/year). The study does recommend to keep a number of these power stations in a ‘strategic reserve’, so they can be switched on again in case of a supply bottleneck. 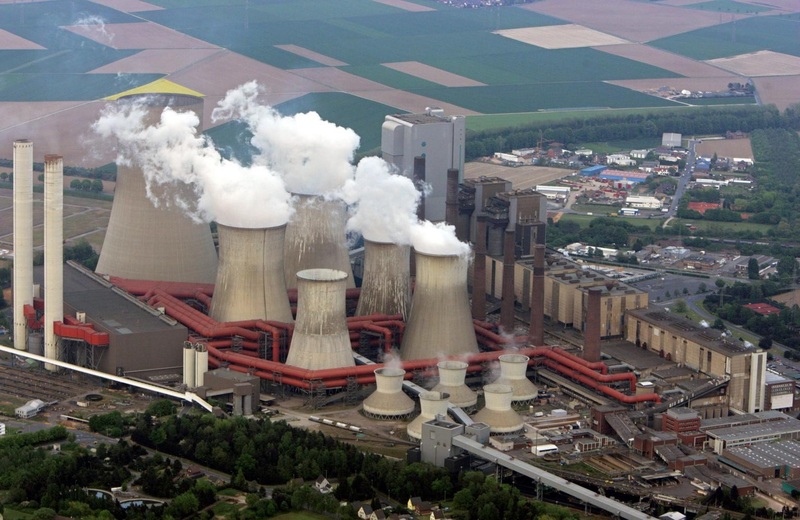 German economics minister Sigmar Gabriel has announced that Germany won’t meet the climate goals set earlier. 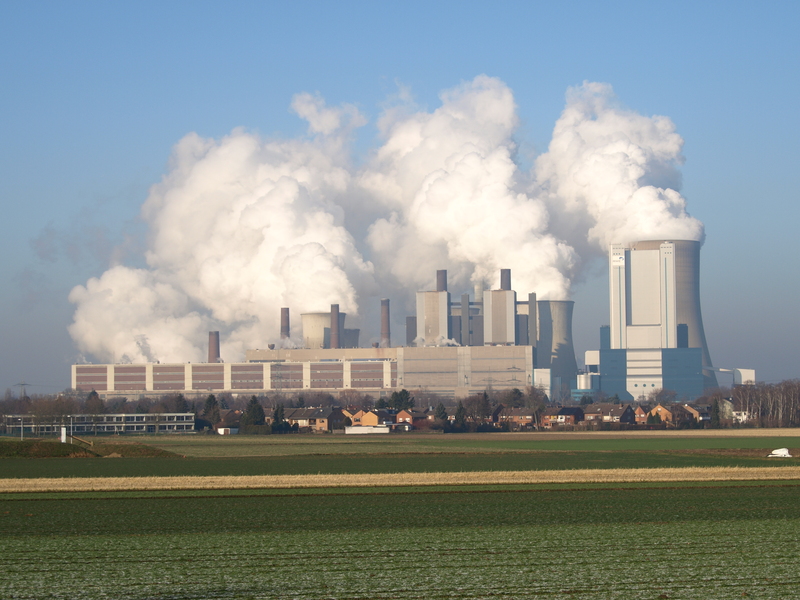 Reason is that it is not possible to shut off both nuclear AND coal based power stations. The original ambition of lowering CO2 with 40% compared to 1990 needs to be abolished. Australian coal seam gas mining documentary. 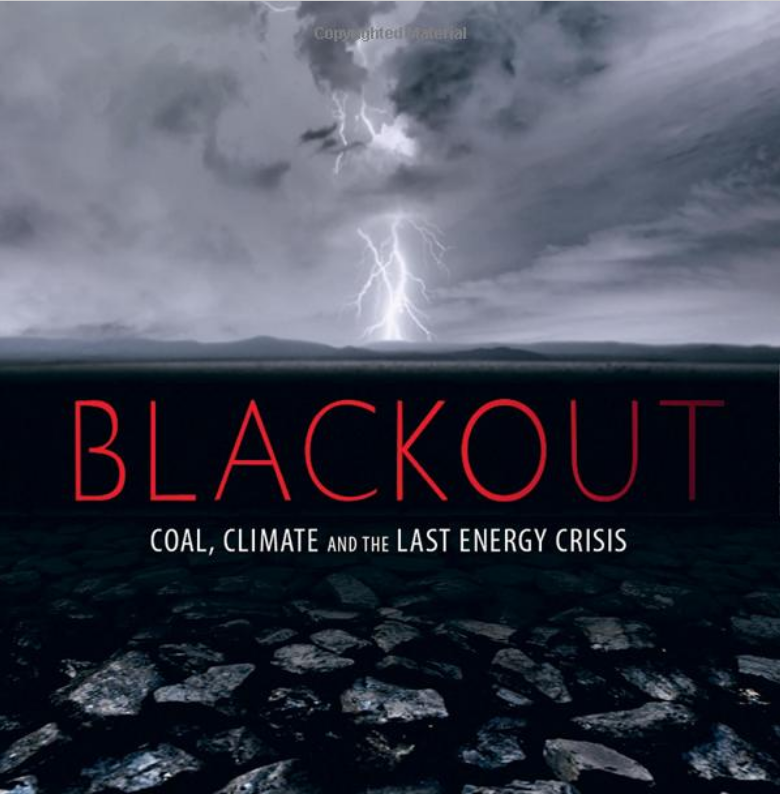 Review of Richard Heinber’s “Blackout: Coal, Climate and the Last Energy Crisis”.